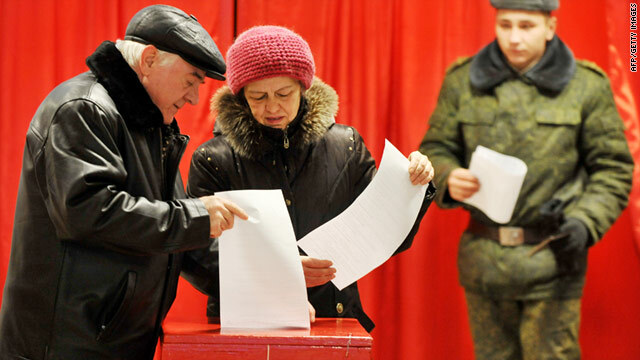 Belarusian President Alexander Lukashenko, once called "the last dictator in Europe" by a U.S. official, easily won re-election in voting Sunday, according to exit polls reported by several media outlets. Meanwhile, opposition candidates were protesting in the capital city of Minsk and clashing with police. Two opposition candidates were injured, one reportedly seriously. One demonstration was in support of presidential candidate Vladimir Neklyayev, according to the Russian news agency Interfax. A huge winter storm was affecting the West Coast on Sunday, poised to dump up to 10 feet of snow in some higher elevations, and causing flooding and potential mudslides in lower spots while impacting driving conditions and air travel, forecasters said. A winter storm warning remained in effect through Monday afternoon for California's Sierra Nevada mountains, from Yosemite to Kings Canyon, according to the National Weather Service. "Storm totals of 5 to 10 feet above 7,000 feet are likely," the weather service said, and periods of heavy snow will continue through Monday. High winds are also forecast for the region. "Travel into the high country of the southern Sierra Nevada may be difficult, if not impossible," according to forecasters. Will North Korea clash with South Korea over drills? South Korea says it expects to conduct live-fire military exercises in the Yellow Sea on Monday, and North Korea says it will launch a military strike if the drills happen. The South says there is nothing unusual about the drills, which have been executed before. 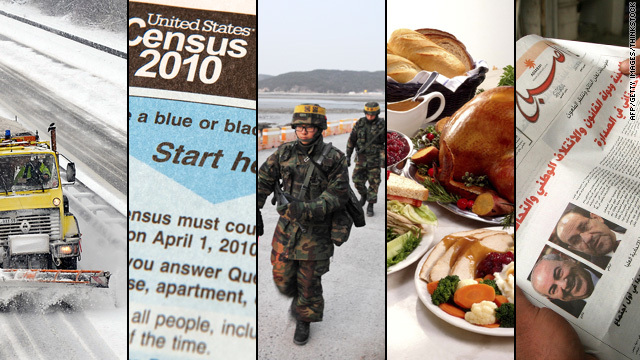 But the plans come almost a month after North Korea shelled South Korea's Yeonpyeong Island, killing two military personnel and two civilians in the first direct artillery assault on South Korea since the Korean War ended in 1953. The North claims it attacked because shells from South Korean military exercises that month landed in its waters, and tensions have been particularly high since. Russia and China have asked South Korea to reconsider its planned drills, but the South has said the drills will go on, weather permitting. Meanwhile, many residents of Yeonpyeong have been leaving the island, afraid of North Korea's potential response. Senate Republicans mounted a counter-attack Sunday against ratifying a new nuclear arms treaty with Russia this year, trying to put off a vote that Democrats say they will win if it is held. Senate Minority Leader Mitch McConnell of Kentucky led the way, telling CNN's "State of the Union" that members of his party need more time to consider the START accord. 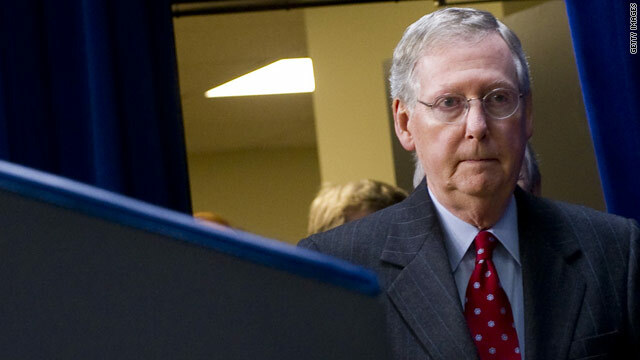 "I've decided I cannot support the treaty," McConnell said in his first outright rejection of ratifying the treaty during the current lame-duck session of Congress. [Updated at 10:51 p.m.] The death toll in Sunday morning's oil pipeline explosion in central Mexico has risen to 27, a state-run Mexican news agency said. [Initial post] At least 14 people were killed and 33 injured after an oil pipeline exploded Sunday morning in central Mexico, officials said. The cause of the explosion in San Martin Texmelucan, in Puebla state, was under investigation, but preliminary reports pointed to the illegal extraction of oil from the pipe, said Laura Gursa, coordinator for civil protection in Puebla. 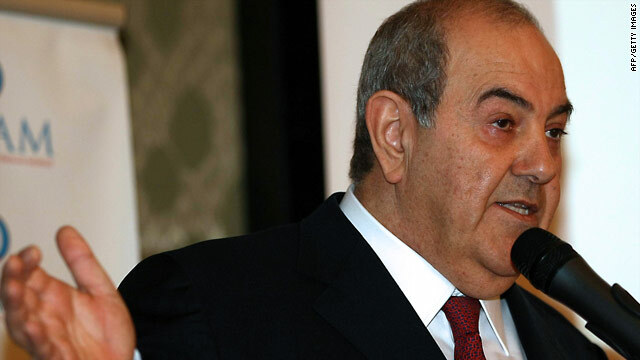 Former Prime Minister Ayad Allawi indicated Sunday that he will take part in the new Iraqi cabinet that his rival, incumbent Prime Minister Nuri al-Maliki, plans to present to parliament Monday - effectively ending a months-long political stalemate. As the U.N. Security Council prepared to convene Sunday morning to hold an emergency session concerning tensions on the Korean Peninsula, South Korea reiterated that it will go forward with live-fire military drills this week. 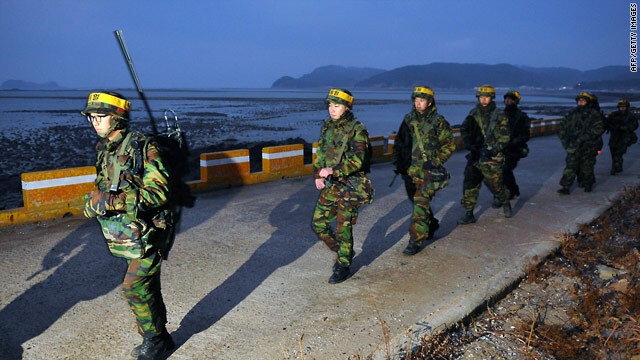 The drills will take place Monday or Tuesday in the Yellow Sea off Yeonpyeong Island, the state-run Yonhap news agency reported, citing a military official. Tensions between the two Koreas have been high since the North fired upon the island last month, killing two marines and two civilians. "The planned firing drill is part of the usual exercises conducted by our troops based on Yeonpyeong Island. The drill can be justifiable, as it will occur within our territorial waters," the official said. Lisa Suarez's voice breaks as she stands in the snow outside London's Heathrow airport, unable to get a flight home to Dallas, Texas. "It's very hard," she says. "All I want for Christmas is to hug my daughter." 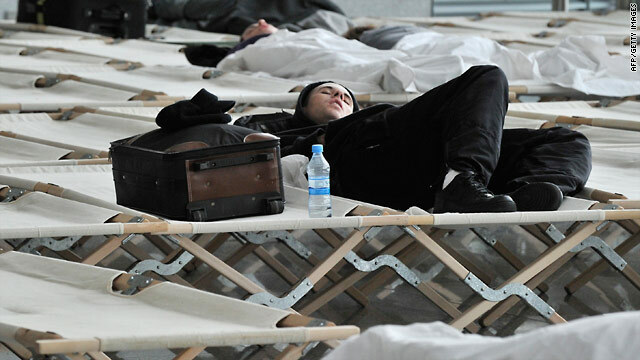 She and her family are among hundreds of thousands of people stranded by "freak weather conditions" that dumped unexpected tons of snow on Europe this weekend, snarling flight schedules at the continent's busiest airports. Three children were killed in a mobile home fire in Wheelersburg, Ohio, the Scioto County Sheriff's Department said Sunday. Two adults were also injured in the blaze, said Donya McClurg, a dispatcher with the sheriff's department. 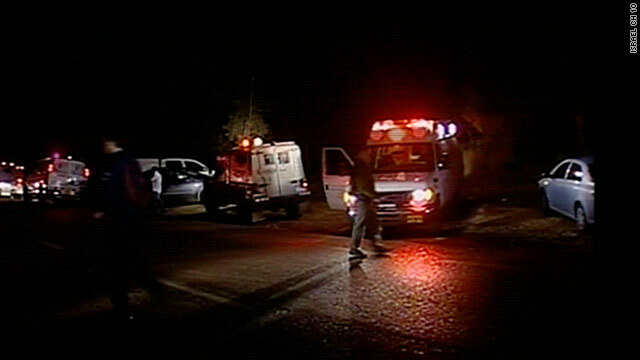 The children were 11 months old, 2 years old and 4 years old, McClurg said. The cause of the fire is under investigation. 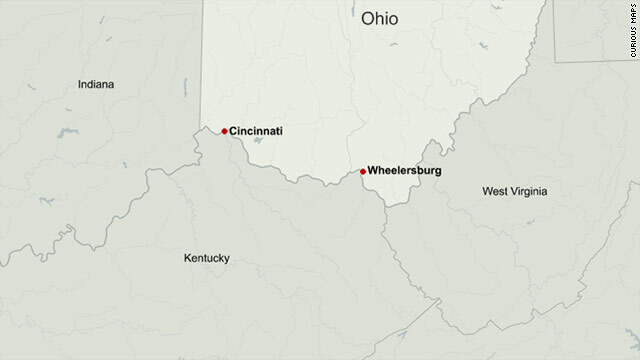 Wheelersburg is on the Ohio River, about 113 miles east of Cincinnati, Ohio. A crew commander was killed and 15 passengers injured when a helicopter crashed on the Russian Arctic island of Yamal, state media reported Sunday. The body of a female tourist missing since Saturday was found outside Jerusalem on Sunday morning, an Israeli police spokesman said.